34024 PER1997.jpg 500X638\PER1997.jpg 34025 PER1997_1.jpg 500X638\PER1997_1.jpg Send A Hint! Spoil someone who can use some help in the kitchen with a gift that will make a great addition to their kitchen! 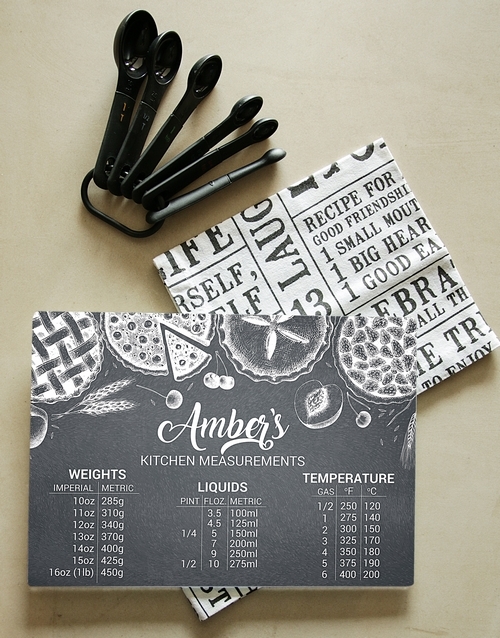 This glass chopping board features a unique 'kitchen measurements' design which is personalised with a name for that special touch. Send now and make their day! *Glass tile only, props not included. 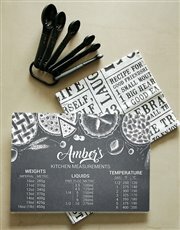 Get this Personalised Measurements Glass Chopping Board delivered with NetFlorist.